يشكل Emu Beach Chalets بموقعه الممتاز في ألبانى نقطة انطلاق جيدة لاستكشاف هذه المدينة النابضة بالحياة. يسهل الوصول إلى هذا الفندق ذو 3 نجوم من المطار، فهو يبعد عنه مسافة 17 km فقط. يوفر الفندق بفضل موقعة الجيد وصولاً سهلاً إلى أهم معالم المدينة.
. إن الخدمات التي يقدمها Emu Beach Chalets تضمن للنزلاء إقامة مريحة. هذه بعض الخدمات الموجودة في هذا الفندق: واي فاي مجاني في جميع الغرف, خدمة غسيل ذاتية, مجهز لذوي الإحتياجات الخاصة, مطبخ, واي فاي في المناطق العامة. في Emu Beach Chalets غرف نوم يزيد عددها عن 12 صممت بذوق وعناية لتوفر لك كل وسائل الراحة . بعضها يحتوي أضاً على شاي مجاني, مناشف, مرحاض إضافي, قهوة فورية مجانية, تلفزيون بشاشة مسطحة. يمكنك الاستمتاع بالأجواء المريحة التي تقدمها مسار جولف - ضمن 3 كم, صيد السمك, ملعب تنس, حديقة طوال النهار. اكتشف مزيجاً ساحراً من الخدمة الاحترافية والخيارات الواسعة من وسائل الراحة والمتعة في Emu Beach Chalets. يتم احتساب رسم قدره 15 دولار أسترالي في الليلة الواحدة عن الكلب الواحد، و20 دولار أسترالي في الليلة الواحدة في حالة وجود كلبين أو أكثر. Lovely friendly staff, extremely clean and tidy and more than comfortable. Location excellent as well. Thank you so much for your review. We look forward to having you stay with us again. Lovely staff, beautifully clean and comfortable chalet. Thank you so much for your kind review. The chalet was a little smaller than I imagined but it was plenty big enough for us (4 adults and 1 child). The beds were comfy and we all slept well. We were in chalet 1 which was at the very end which we preferred and the BBQ facilities were right outside our chalet. 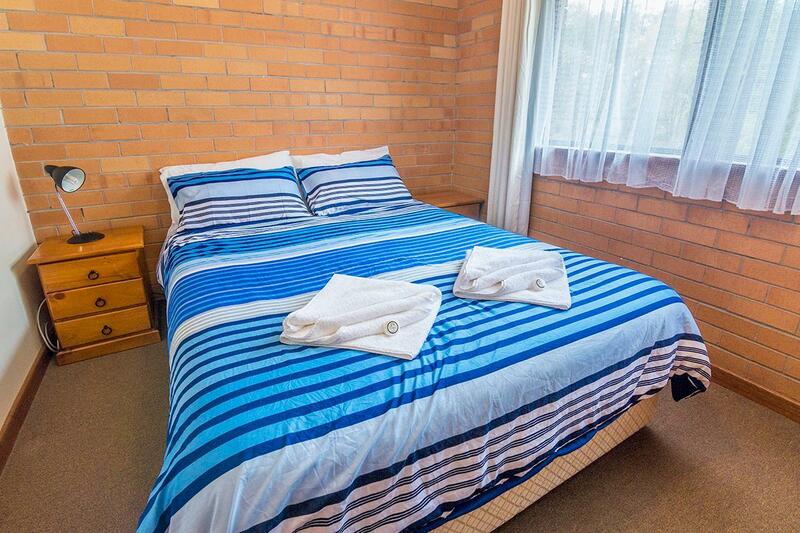 We spent the days travelling and exploring Albany and the nights at the chalet which was fully equipped. There was extra pillows, blankets and quilts if needed. The wi-fi didn't connect much at all but we didn't mind too much. The lady at the reception was very cheerful and helped us with ideas for exploring Albany. I highly recommend visiting The Marron Farm which has animals to feed and interact with plus a lovely cafe with a great menu with good prices. We would come back to Emu Beach Chalets again. Thank you so much for your thorough review. We had pleasant stay at this chalet. All kitchen needs provided fully. Fully recommended for those who love cooking and families with young kids and elderly. Has what it says on the tin. Nothing more. Probably better for families. No serious issues. Functional and basic at a fair price. 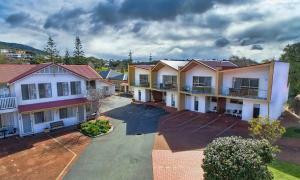 This is a quiet little complex near to Emu Point Beaches. The beach itself is a short walk away, and very pretty. 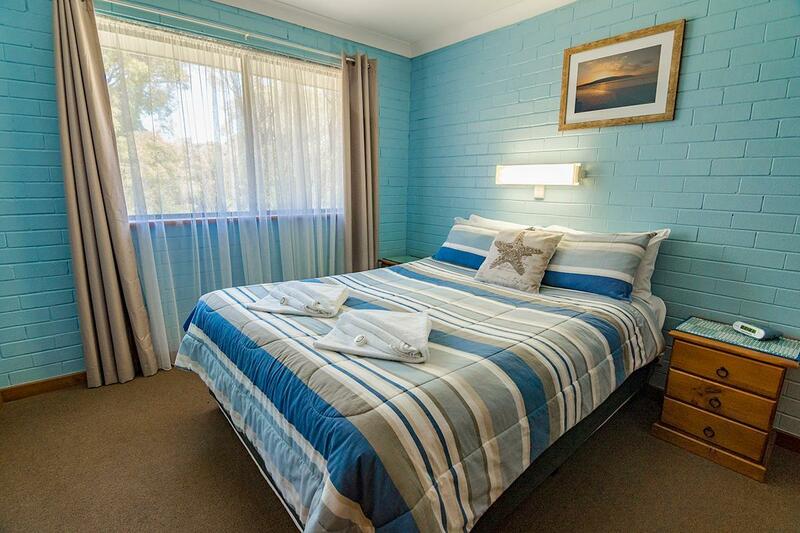 It is about a 5-10 minute drive into town, and Middleton beach is also nearby. 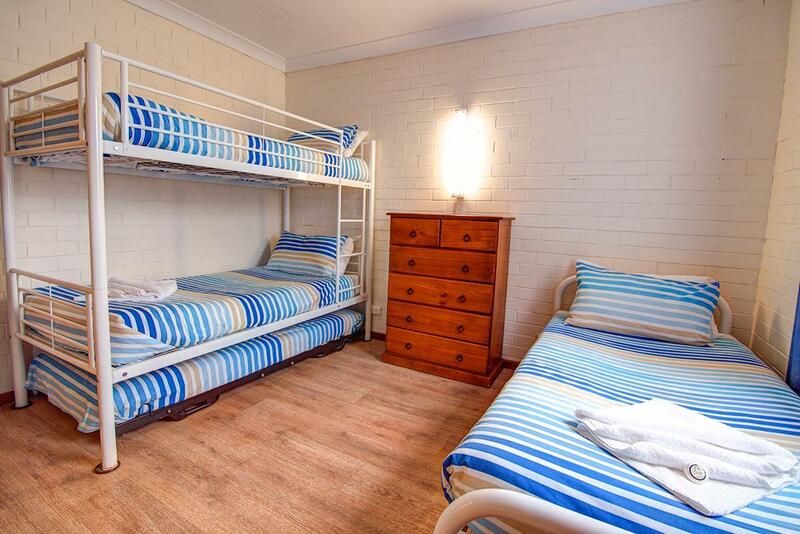 A good value for money place, our 2 bedroom unit was not huge but had everything we needed for a base to explore Bunbury. 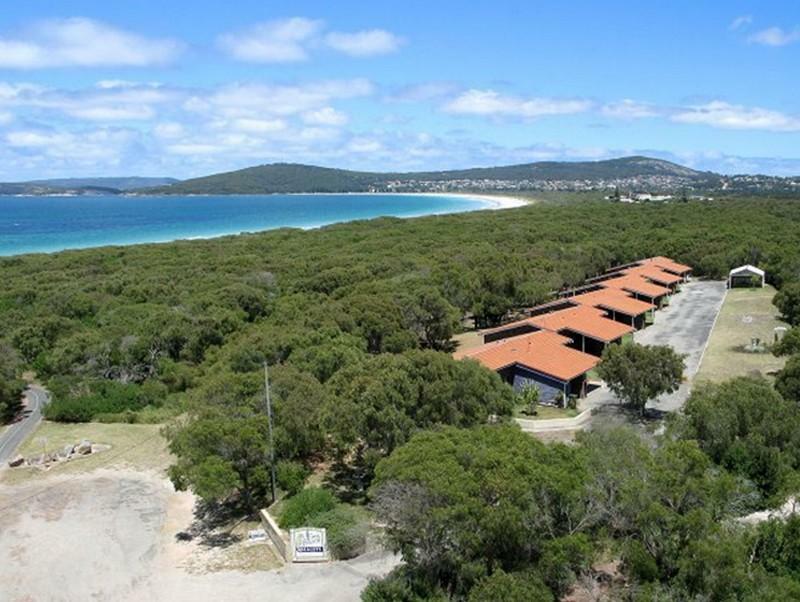 A lovely peaceful spot near Emu Point with beach, cafe and fishing at your doorstep, but only a short drive from Middleton Beach and the Albany Town Centre. Dog-friendly so we had a chance for a holiday with our little buddy. The communal BBQ facilities were fantastic - well-lit and set out and kept spotless! booked this chalet as we were on holiday with our dog, the welcome was fantastic, staff went out of there way to explain what to see and do in town and provided us with any information we needed. The chalet was clean and comfortable nothing spectacular but basic and had everything you needed. They are literally 5 minutes walk to the beach, which is gorgeous one of the nicest beaches in albany. There are also bbq facilities in the chalet but have a much nice communal bbq area with everything you need. Would recommend this place iff you have a dog and want to take them on holiday with you. Arrive late on that day, but the staff was very kind to stay up to 8.00pm and gave us great suggestion on places to visit in Albany. Very friendly staff. Chalet was basic only, a bit old to my liking. Bed too soft for comfort. 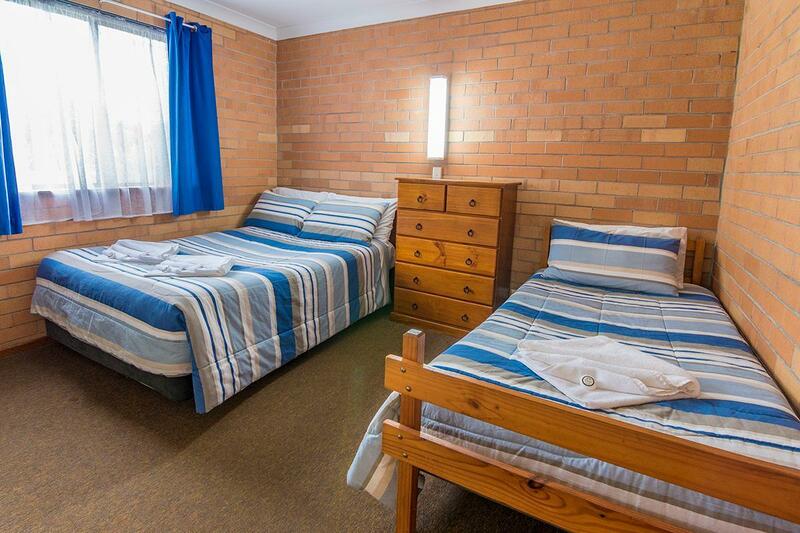 Design was a bit weird whereby you enter the motel from the toilet. Other than that basic amenities are fine.